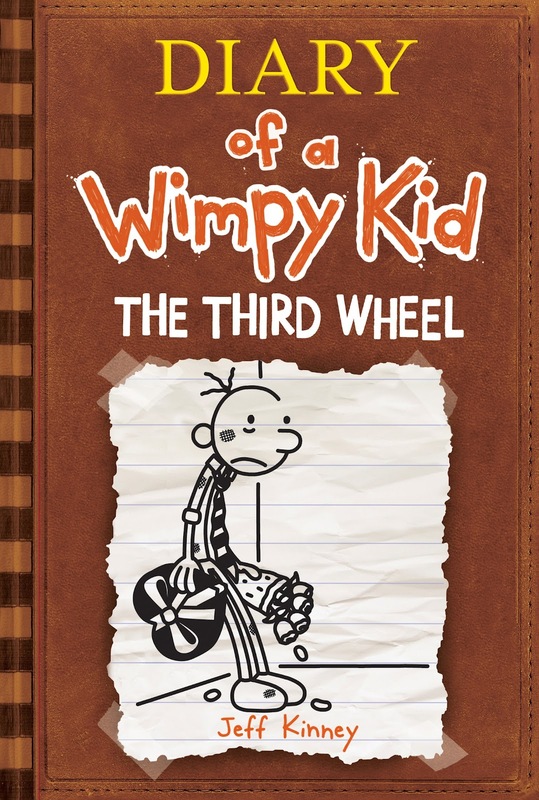 In The Third Wheel, love is in the air—but what does that mean for Greg Heffley? A Valentine's Day dance at Greg's middle school has turned his world upside down. As Greg scrambles to find a date, he's worried he'll be left out in the cold on the big night. His best friend, Rowley, doesn't have any prospects either, but that's a small consolation. Then an unexpected twist gives Greg a partner for the dance and leaves Rowley the odd man out. But a lot can happen in one night, and in the end, you never know who's going to be lucky in love. Now is probably the time to admit that this is the first Diary of a Wimpy Kid book I have ever read. I have read a couple of books in the same style this year, so I was looking forward to see what Greg Heffley had in store for me! At the beginning of the book we revisit Greg’s early childhood, from to his time in the womb to his time at kindergarten where he experienced a number of physical challenges. There is insight into his home life, and what it’s like to be the middle child, destined to be the receiver of hand me downs. The blurb of a book usually gives you some idea of what the book is going to be about. The description above is reasonable accurate, but what it doesn’t tell you that the reason the Middle School is having a Valentines Dance is because of toilet paper! Yes that’s right, toilet paper. When the elections come up for student council, it seems the most contentious topic is that of the toilet paper the students have to use, it’s like sandpaper. So when Eugene Ellis stands up and says if he is voted president then he will make sure he replaces all of the toilet paper with the expensive quilted kind. Well that’s enough to get him elected. Sadly, one day later Eugene and the council are informed that they can’t afford quilted toilet paper (except they find that funds do stretch for the staff toilets! ), the only way to solve the issue is to raise the money for it themselves, so they do, with a Valentine’s Dance. Poor old Greg tries desperately to find himself a date for the dance, but no luck. His attempt to reinvent himself with a new wardrobe led to him Mum following him to school to take his dads leather jacket back. He tried to impress a girl from church by offering to babysit her younger brother, but managed to get locked out of the house and on breaking back in fell asleep in said girls bed! All I can say is that this series is the most popular series of books I have ever sold, in fact it’s initial print run was 6.5 million copies, the biggest print run of any book this year. That means that this book will make millions of people happy, and that has to be a good thing.